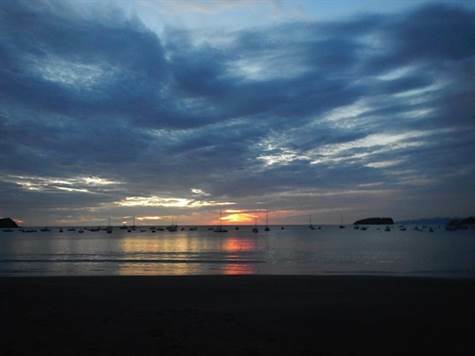 This beachfront lot is located toward the northern end of the beautiful beach in Playas del Coco. The land spans one full beach block, one end faces the public road and the other is beach front. The lot comes with plans to build a condominium complex which is a fantastic idea as there are no other beachfront condominiums in Playas del Coco. The property comes fully equipped with water and electricity and in a great location, closeby many restaurants and shops and walking distance to the center of town.